Fashion month can be likened to a crystal ball. It gives us a glimpse into our (wardrobe-related) futures by showcasing what is going to be wearing in six months' time. And it was evident on the spring/summer 2019 runways that the industry's obsession with resurrecting '80s trends is showing no signs of waning. Over the course of four weeks, we saw everything from tie-dye cycling shorts to shoulder pads so big, it looked as if the models were about to take flight. However, there was another blindingly bright trend that was hard to miss: neon. Zingy shades of lime, lemon, tangerine and fuchsia were evident at all four cities. 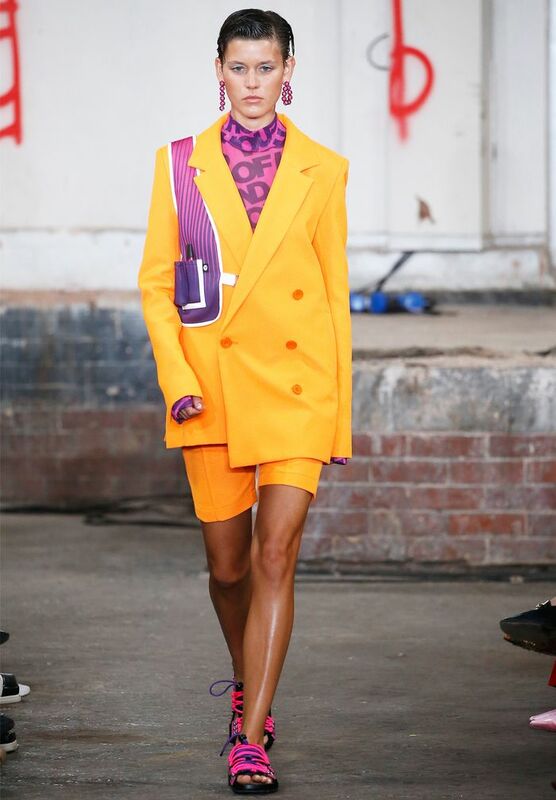 However, it seems the neon fashion trend has taken off on the Brit design scene in the most, as it was championed by both House of Holland and Emilia Wickstead alike. Seeing as 2018 was largely dominated by minimal silhouettes and a neutral colour palette, it's only natural that an opposing look would make itself known. But are we really ready to reinstate this brash '80s trend into our outfit arsenal? Fashion editors like the idea in theory, but many know the reality of wearing highlighter shades isn't as easy as it looks on the runways. Instagram's most courageous dressers are already showcasing the neon-wearing nous on their feeds, persuading us outfit-by-outfit that perhaps it's a contender for our own closets. Style Notes: A neon dress is the easiest way to take on the trend, particularly in yellow or pink, as those colours are more commonplace. Style Notes: Tone down a bright piece by pairing it with shades of beige, cream and brown. Style Notes: Use a neon item to instantly update your daily basics. This bustier worn over a white tee is inspiring. Achieve the same effect by wearing a bright orange skirt with a navy pullover. Style Notes: As you gain more neon confidence, try wearing a couple of different shades and balancing them out with white accessories. Style Notes: If you're feeling like a pro already, then look to @susiebubble and her more advanced neon-centric combinations. Style Notes: A bold jumper worn with your favourite jeans is the best way to get involved ASAP. Wear this statement trench with straight-leg jeans and a plain white tee. This will look chic paired with a black roll-neck. Say hello to your new favourite going-out top. A bright roll-neck will fit in with even the most refined wardrobes. Don't be fooled—these jeans are brighter than they look. A frugal way to take the neon fashion trend for a test-ride. Add this belt to your favourite checked trousers. 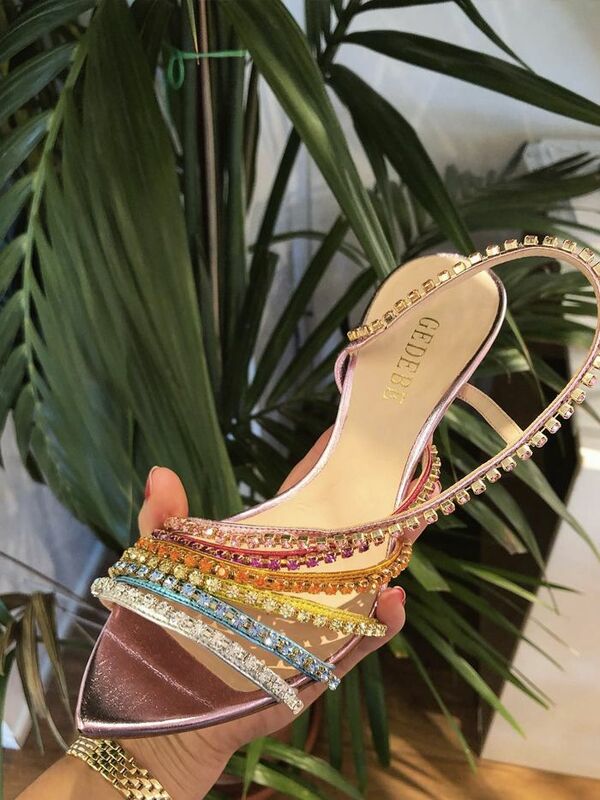 Antonio Berardi at this price? Who could say no? So cosy, you'll wear this right through to summer. Only Emilia Wickstead could make neon look this refined. Part of Topshop's collaboration with '80s fashion powerhouse Halpern, this is new-age retro at it's most authentic. So much style sass for just £5. This checked skirt helps takes the high-octane hue down a notch. It doesn't get more retro than a highlighter pink Prada padded shoulder bag. Tick off two major trends in one with this leopard knit. Give your old coats a new lease on life. Invest in the matching trousers if you're feeling bold. On trend and in the sale? 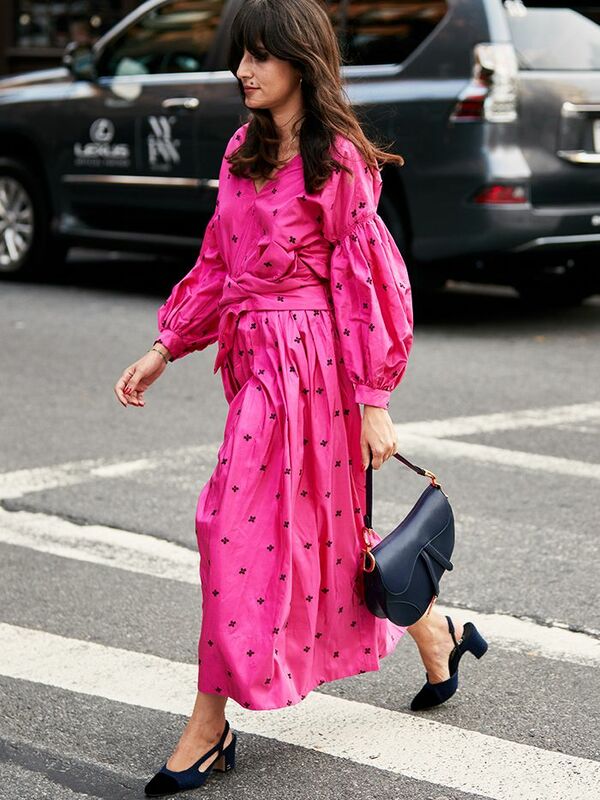 This hot-pink frock is a party season no-brainer. If in doubt, you can never go wrong with hail-a-cab heels.